BACK in the day – precisely, sixteen years ago – yours truly started hunting down the Muslim Brotherhood Mafia. To said end, it was understood that a solid grounding in the Qur’an…. القرآن الكريم, Islam’s ‘holy’ book, aka the ‘noble’ Qu’ran, was a mandatory precursor to the task at hand. Prerequisite. Course 101. After all, how intellectually (never mind otherwise) lazy can one be, claiming this and that expertise, still yet, remaining totally ignorant of the subject matter via its basic text(s)? Rhetorical. Simply put, it would be akin to asserting a requisite background in medicine, having never read/studied a single medical textbook! Sheesh. WITH the above established as a core foundation and educational tool, the initial mission involved first-hand visits into the netherworld of Islam’s inner sanctums, which led straight into Muslim-owned bookstores, preferably, attached to mosques. Thus, stretches of Brooklyn’s Atlantic Avenue in New York, Astoria, Queens, and nearby environs within Paterson and Jersey City, New Jersey, etc. became like second-skin; Arab/Muslim enclaves whereby one can be forgiven for thinking they were somehow dropped on their head into the heart of the Middle East! And while walking these streets and heading into a restaurant or two is the touristy thing to do, suffice to say that it doesn’t cut it in this line of work. Mind you, it took every ounce of cajoling to convince Frank Kutnicki, z”l (of blessed memory) to part with, and entrust to this one and that one, his ‘delicate flower’ (his words, not mine! ), Sunday after Sunday. But let’s not digress. MOST advisedly, it is intrinsic not to stick out like a sore thumb, so to speak, whether in their neighborhoods in the States or in the belly of the Middle East. Resultant, it is more than prudent to tag-team with someone who is not only a trusted contact, but who ‘fits in.’ Thank heavens for select associates, some of whom (in the U.S. and Israel) ‘pass’ for Arab Muslims and are always more than eager to assist, even after years of collaborative efforts. Let’s just leave it at that. AS such, the initial educational foray (as mentioned, it wends back sixteen years ago) was acquired from a bookstore attached to a well-known Sunni (al-Qaeda/ISIS) mosque on Atlantic Avenue. 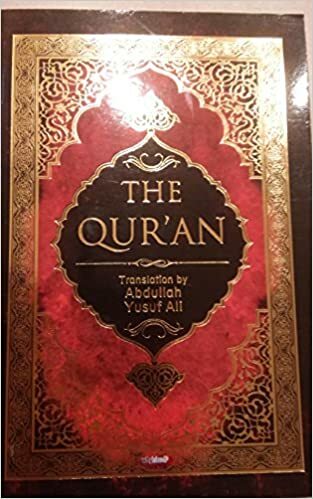 It commenced with purchasing Abdullah Yusuf Ali’s Qu’ran – the most widely known and respected by Islamic scholars, as well as English translated text used in the Anglo-speaking world – and other goodies alike. Meanwhile, the forever nameless ‘fly on the wall’, duly fluent in Arabic, soaked it all in. Truly, as always, a hero in these eyes. More than a wing-man. And, know that what they say in Arabic to each other is NOT what they say in English to the clueless and feckless masses! MOVING right along, at first blush when reading the Qu’ran, one becomes immersed in a stranger than strange journey into convoluted Alice-in-Wonderland verses that hardly make any sense, let alone within any normative context. Okey dokey. But to be fair, that’s to be, more or less, expected. On the other hand, as one delves a little further into the text(s), the crazy factor starts to kick in. Big time. EVEN so, in order to get to the thrust – that which majorly impacts upon the common denominator of all things jihad – let’s cut to the chase. To do so, the following excerpts from “Was Muhammad Insane? It’s All About Muhammad” are where it’s at. The ‘Black Hearts.’ Don’t dare let anyone opine otherwise and attempt to sway you into a more positive-thinking ‘interpretative’ direction. Besides, who are you gonna believe and trust, this investigative journalist and counter-jihadist – who lives and breathes battling back Islamic jihad – or one or another apologist for Islam?? It’s your call. More self-praise can be found in Verse 56 wherein he advises believers to bless him and “salute him with all respect,” because that is what Allah and Allah’s angels do to him. This is followed by a suite of verses that rail against people who refuse to believe that God talks to him, salutes him, and blesses him. He threatens infidels that they will pay for their lack of belief in him in blazing hellfire. “Our Lord! Give them double Penalty and curse them with a very great Curse!” he says in Verse 68. IN light of the above truth serum and sorely overdue disinfectant, is it any wonder that mandated jihad spans the globe wherever Islam, a cancerous scourge, is practiced? Inherently, its basis and essence will explain decades (centuries, to be exact!) of global jihad, not to mention the most recent: the execution of a Delaware State Trooper who was fatally gunned down outside of a convenience store by Muhammadans reciting quotes from the Qur’an; a foiled suicide bombing in Manhattan by a New Jersey convert to Islam, and an attack on a reporter in Rome on live tv, even in the midst of speaking about the so-called plight of Muslim ‘refugees’ from Africa and the Middle East! Ungrateful Islamic jihadists. Barbarians. 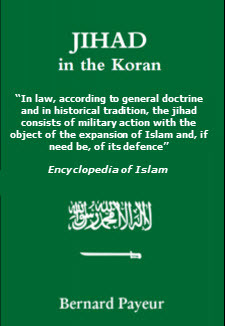 MOST significantly, each and every act of jihad can be traced back to the very same incitements enshrined within Islam’s ‘holy’ book. Incontestably. ALAS, none of this should be ‘news’ to westerners, at least if one’s eyes and ears are open and immune to PC jive-talk and apologias ad infinitum, that is, whenever the ‘religion of peace’ comes into ear shot. OMINOUSLY, isn’t it way past time to take off the gloves and tell the truth, consequentially and concomitantly, countering the bloody and ravaging effects of the Qu’ran’s barbarism?? This entry was posted in Uncategorized and tagged "Was Muhammad Insane? It's All About Muhammad", 'Black Hearts', Abdullah Yusuf Ali's Qu'ran, foiled suicide bombing in Manhattan, Islam is a cancerous scourge, jihadi attack on a reporter in Rome on live tv, jihadi execution of a Delaware State Trooper, Muslim Brotherhood Mafia, the 'noble' Qu'ran by Adina Kutnicki. Bookmark the permalink.